Following are some of the iPhone/iPad applications designed and developed by MacOligarch LLC. These are currently available in Apple iTunes Store. 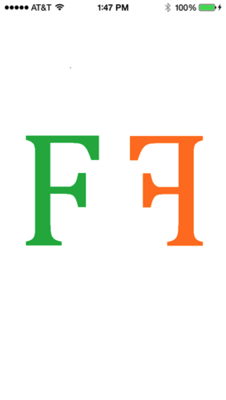 Please note: This app will provide details of future activity only. 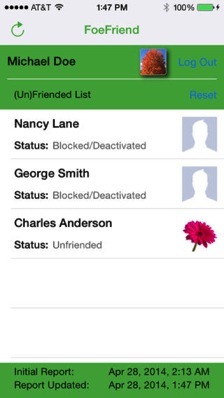 It will not provide details about friends who have already unfriended you. This FREE comic book application together with 'Ramayan 3392AD Guidebook (another free comic book application) provides the perfect introduction to the mythical world of Ramayan 3392AD and is an entry point for people interested in the Ramayan 3392AD complete 208 page graphic novel application also available now. 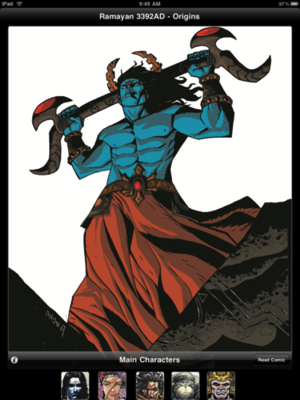 Set in a time two thousand years in the future, Ramayan 3392 A.D. re-imagines one of the most epic tales in history, and this ORIGINS app reveals self-contained short stories on the main characters, Rama, Lakshman, Sita, Hanuman and Ravan, by some of the most celebrated creators in the comics industry including Ron Marz, Michael Avon Oeming, Jim Starlin, David Peterson, Luke Ross, Bart Sears. Mankind has been devastated and in its wake the monstrous being Ravan and his dark hordes threaten to wipe out what little is left of humanity. But hope is alive in the form of the mighty warrior Prince Rama. Along with his brother Lakshman and the lovely Seeta, daughter of Mother Earth, Rama sets out on a perilous journey to end Ravan’s bloody grip on the world. Ramayan 3392AD is an epic adventure that has been called “India’s answer to Lord of The Rings” by The Times of India, and features a surreal cast of fantastical creatures and spectacular battles, all within an astonishing quest to save humanity from a darker evil than the world has ever encountered before. This version for iPad has full page viewing with features like zooming and panning. NOTE: RAMAYAN 3392AD is a futuristic, fictional story inspired by the original epic myth, Ramayana. 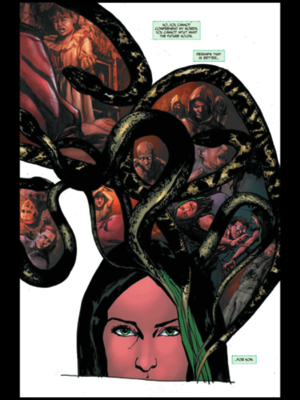 However, this version is not a literal retelling of the classic story, but a completely different story. We encourage all readers interested in the Ramayana, to separately read the original myth, which is a timeless classic. Powered by Liquid Comics and MacOligarch. 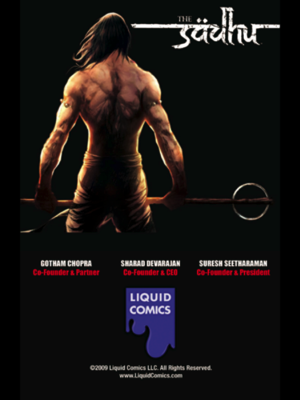 This FREE comic book application together with 'Ramayan 3392AD Origins' (another free comic book application) provides the perfect introduction to the mythical world of Ramayan 3392AD and is an entry point for people interested in the Ramayan 3392AD complete 208 page graphic novel application also available now. 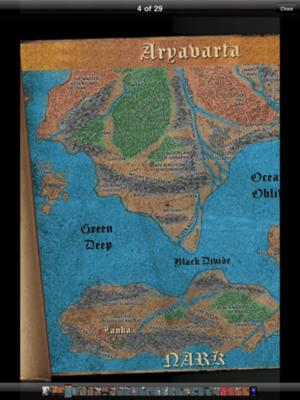 Set in a time two thousand years in the future, Ramayan 3392 A.D. re-imagines one of the most epic tales in history, and the Guidebook provides all the information on the myriad characters and settings of the series. Text entries and previously unseen imagery serve as a great introduction for new readers, as well as a fascinating inside look for fans of the series. This version for iPad has full page viewing with features like zooming and panning. Ramayan 3392AD is an epic adventure that has been called “India’s answer to Lord of The Rings” by The Times of India, and features a surreal cast of fantastical creatures and spectacular battles, all within an astonishing quest to save humanity from a darker evil than the world has ever encountered before. 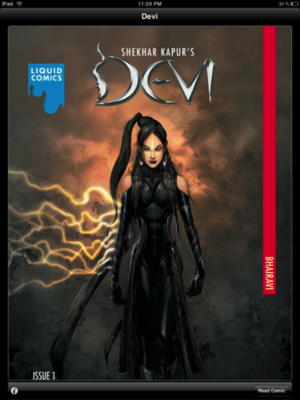 his FREE comic book application provides the perfect introduction to world of the Devi and is a great entry point for people interested in the “Devi Volume 1” complete 145 page graphic novel application also available now. Tara Mehta, an unsuspecting young woman in the futuristic Asian city, Sitapur is the Devi. She has no idea that she is about to become the centerpiece of a divine battle between the Gods of Light and the demon Lord Bala. 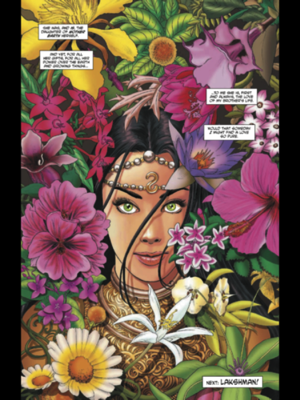 Devi is a powerhouse of a story about a young woman battling for survival in a landscape of ancient legends, duty and fate. 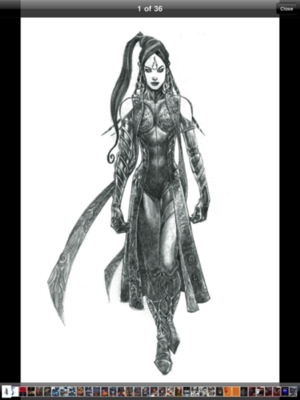 She walks the line between tradition, destiny and free will. Where will she fall? Between the Divine and the Diabolical there is Devi. Shekhar Kapur is regarded as one of the most critically acclaimed filmmakers in the world. His film, “Elizabeth” was nominated for 7 Academy Awards including Best Picture. 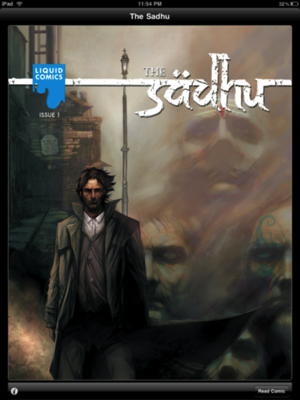 This FREE comic book application provides the perfect introduction to world of the Sadhu and is a great entry point for people interested in the “Sadhu Volume 1” nearly 200 page graphic novel application also available now. 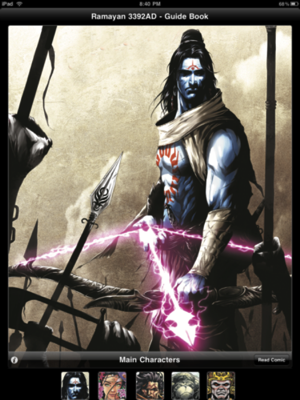 James Jenson, A British soldier whose family is brutally murdered by a corrupt superior officer, seeks refuge with the Indian mystics known as Sadhus. Years later, now trained in their supernatural arts, Jenson must decide whether to use his newfound powers for enlightenment as they are intended, or for revenge against the people who murdered his family. 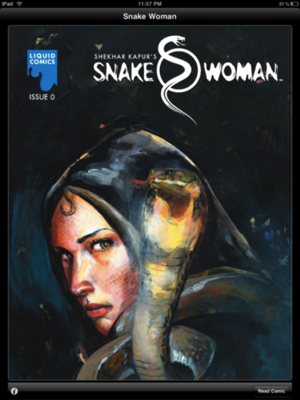 This FREE comic book application provides the perfect introduction to world of the Snakewoman and is a great entry point for people interested in the “Snakewoman Volume 1” complete 144 page graphic novel application also available now.